The Australian Catholic Youth Festival was treated to a new level of talent this morning, courtesy of US headliner Emily Wilson. The one-time aspiring sports broadcaster, who instead opted for a mission of speaking, YouTubing and writing about real life with God, held the 20,000-strong crowd in the palm of her hand as she spoke about vocation. The Californian said there were two truths she wanted her young audience to know. “God knows you, and he knows your heart,” Emily told the crowd. The first thing to do – often the most neglected thing – was to spend time speaking intimately with God. There was a roar of mostly female voices around the packed Qudos Bank Arena when Emily showed pictures of her husband, Daniel, from their wedding – a segue into talking about what it means to give yourself over to your vocation. 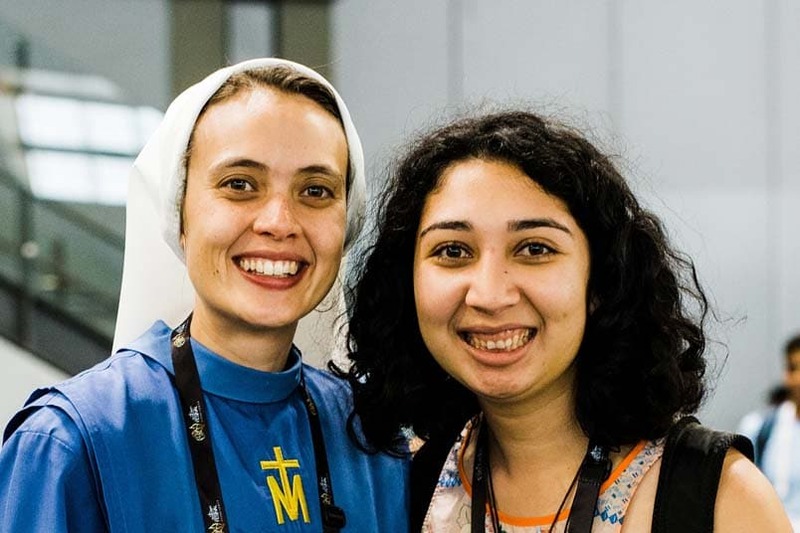 Emily spoke about Mary as the ultimate model of humanity in her openness, her receiving and surrender, citing the words of Pope Benedict XVI, made famous at World Youth Day 2008. “Are we all not perhaps afraid in some way? 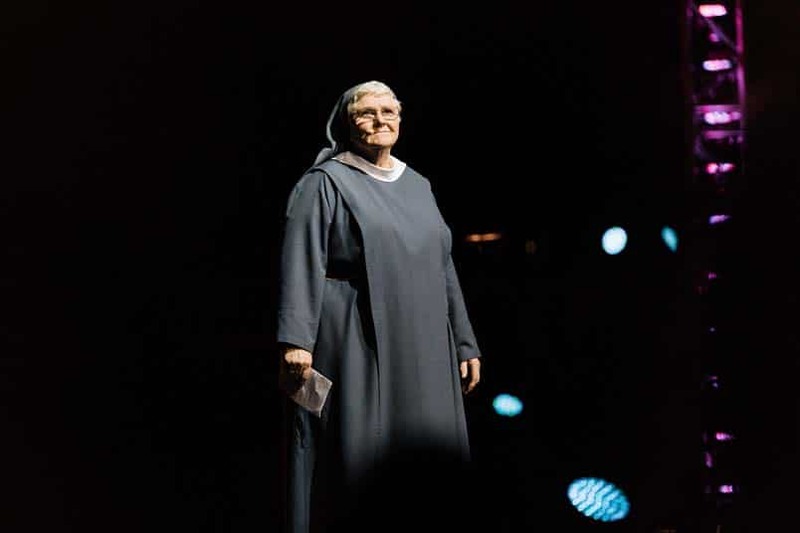 Five young people sitting around the arena joined her in leading the crowd in praying a decade of the Rosary, the final ‘Amen’ concluding her talk as she departed the stage. 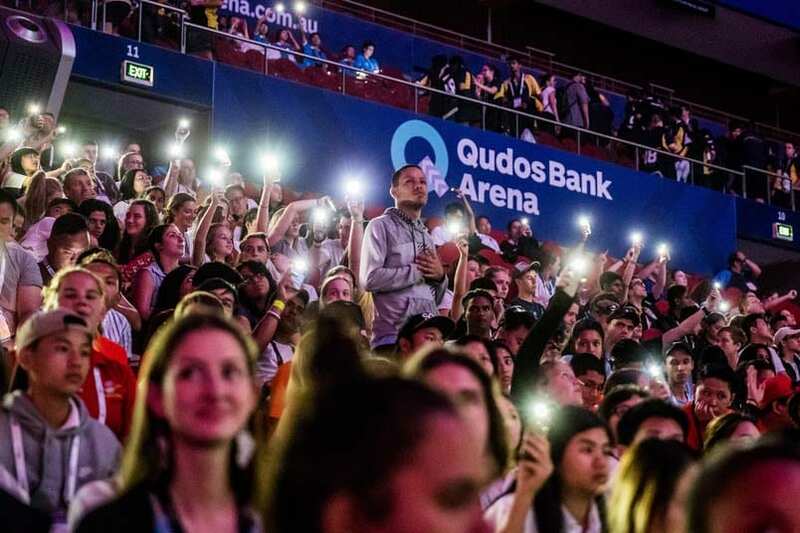 The youth also roared and clapped in approval earlier in the plenary when Nic Marchesi and Lucas Patchett, the founders of Orange Sky Laundry for the homeless shared their story of how they came up with their award-winning idea. Waves of laughter echoed around the arena as the impressive young men told their tale of well-meaning but naïve beginning, blowing up expensive four washing machines after installing them in “sudsy” – their first mobile laundry van. The inspiration came for having deep conversations with a homeless man in their local area and wondering what they could actually do to make a difference. “So I jumped on Google and typed ‘serious washing machines’,” Lucas said to the crowd’s amusement. The men recalled the very first time they had a washing machine-loaded in their van to work and their first “customer” Jordan – someone who was the same age as Lucas and who had studied the same degree at university. In the one hour it took to wash and dry the clothes they discovered what would turn out to be the most important part of their social enterprise – conversation. Three years after they started, they are now helping homeless throughout Australia in 156 locations, operating 22 vans and helping to wash and dry 1.2 tonnes of laundry a week. “Having clean clothes means I can go on with my life,” one of their “street friends”, John, said in a short video. 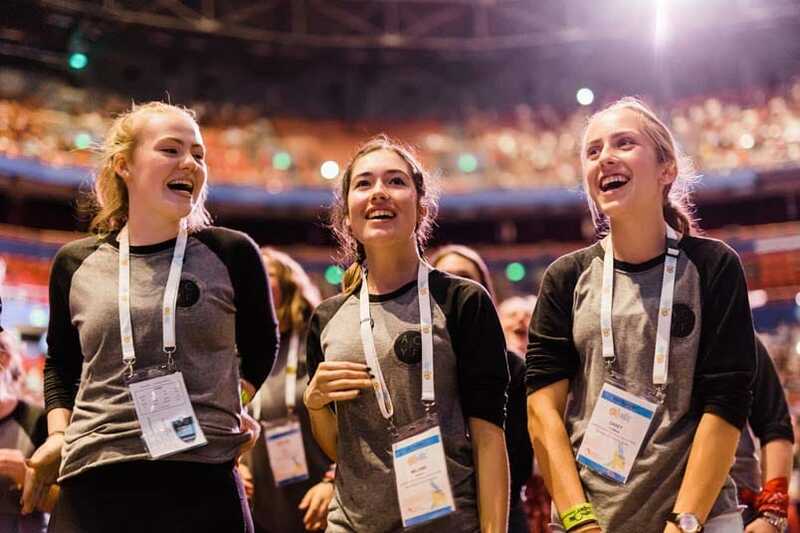 Bishop Mark Edwards introduced the young men and spoke about the centrality of the Spirit of God – how God makes a home in all of his believers – in personal conversion and in affecting real change in the world. 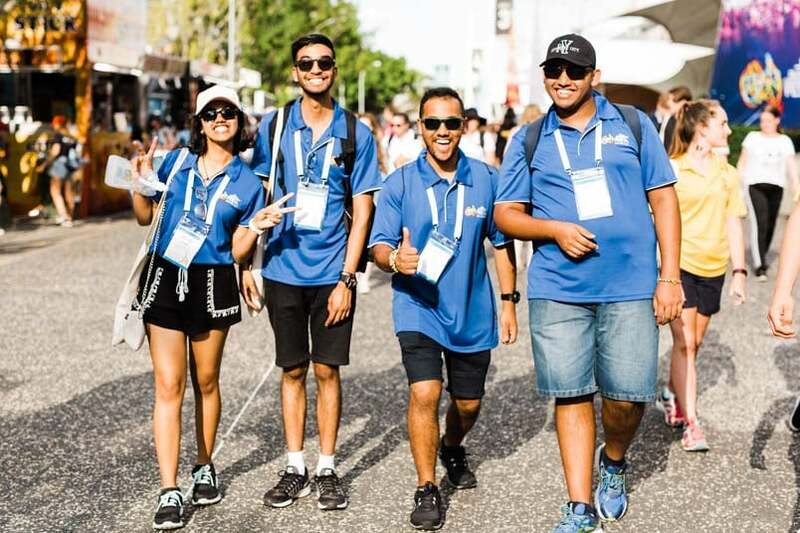 Previous articleDay 2 of ACYF – What does it hold in store?